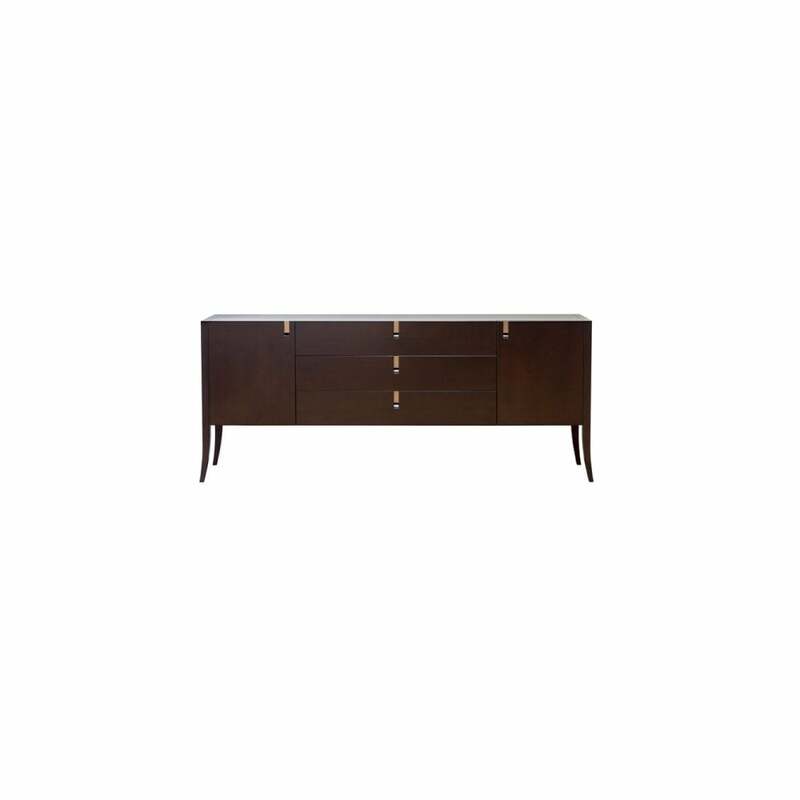 The Jubilee sideboard is a classic design, with maximum storage and generous surface space. imagine your cherished photo frames, objet d'art or a striking lamp positioned perfectly there. The 3 drawers on metal guides can be full extended for easy access, the door fronted cupboards on each side have 1 removable wooden shelf. In true Italian attention to detail the drawers are equipped with 3 inserts, each with 2 niches. The trays are made from transparent polished beech wood, lined with chocolate coloured imitation leather. The warm cherry veneer of the main body and rich solid beech tapered legs create a very classic look, beautifully embellished by the decorative antique bronze finished handles.